Think You Can Kill A God? 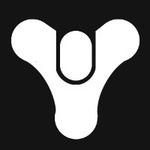 We are a Destiny roleplay that takes place after the fall of Oryx. The Guardians and their Ghosts continue to protect the system, but recently some Ghosts have been choosing their Guardians among those already living. You can play as a Guardian, a civilian, or even a creature of darkness. Vote for us on Forum Roleplay! "Mystery Machine" Pre-Made by Trinity Blair is licensed under a Creative Commons Attribution-NonCommercial-NoDerivs 3.0 United States License. Fluid CSS3 Slideshow with Parallax Effect by Ring Wang, UBBC Icons by Smangii, Smileys by Kao-Ani, and Shoutbox Remodel by Alisha. Eyes Up belongs to its admin. The images, characters, prose, poetry, etc. found on this site belong to their original creators. Eyes Up is based around the video game Destiny, which belongs to Bungie. The weapons and characters found in the game also belong to Bungie. No copyright intended. New around here? Introduce yourself! Don't be shy. Information board! How the site works, announcements, rules, things like that. Come here if you have any questions or comments on how to improve the site. Or, you can PM the admin or ask in the chat box. There will be missions and things like that posted here for you to participate in. Members are welcome to post their own things, only if staff approves it. You'll find the bio form here. Please post in the pending board and wait to be approved! Little things like wanted ads, thread requests, and relationship plots. This planet is mostly in ruins, but one City remains, protected by the Traveler. Human, Exo, Awoken, Fallen, and Hive inhabit Earth. If you go to the moon, you'll find the ruins of humanity's Golden Age. The Fallen and the Hive inhabit the moon. Once considered a paradise, this planet has been taken over by wild jungles. The Fallen and The Vex inhabit Venus. This is a desert world, once inhabited by humans. The Cabal have a base here, and the Vex inhabit as well. This asteroid belt is located between Mars and Jupiter. The Awoken and their Queen make their home here. Only the Awoken live here. Anywhere else your journey might find you. Want to roleplay something that happened in the past? You can do that here. Talk about whatever you want on this board! It's really just testing and planning stuff out. You're not missing much. Post your ads here! We'll shoot ours your way, if we haven't already! Proboards only, anyone else must either affiliate or pass on by. If you have to go away, would you kindly post here to let us know? That way we know why we're missing you!